India - a Tourists paradise: Health - Suffering from Chronic Cough - How to Manage it? Health - Suffering from Chronic Cough - How to Manage it? Coughing is a common problem of the respiratory tract and often indicates a deeper problem. It can be very irritating and can affect eating habits and socialization. A cough which persists for more than 4 weeks is believed to be chronic in naure. Chronic cough with or without sputum. Fever more in the night time. 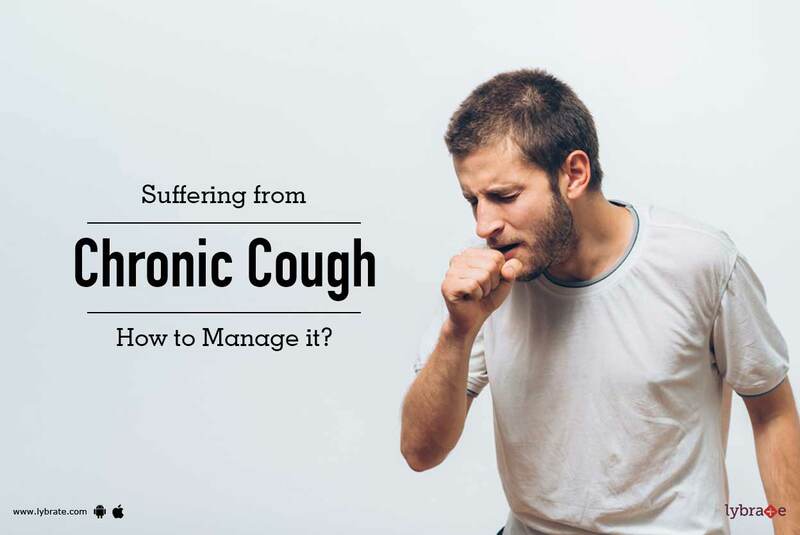 Read on to know about other common causes of chronic cough and how to manage them. Allergies: People with allergies usually have a chronic cough, which gets aggravated when exposed to the allergens such as pollen or environmental dust. Staying away from allergen provides relief. Antihistamines are also useful, which most people detected with allergies keep in handy. Inhalers might be required, if there is associated congestion or shortness of breath. Asthma: This is a very common chronic condition, caused by inflammation and swelling of the lungs, in addition to wheezing and shortness of breath. Asthma patients often suffer from a chronic cough. An asthma attack usually happens during the night or early morning, and is triggered by colds, cigarette smoke, air pollutants or allergens, which can even include certain foods. Most asthmatics usually carry their steroids, inhalers, and bronchodilators, as the onset of attack can be unpredictable. Bronchitis: This condition of inflammation of the bronchial region is very common among smokers and among the elderly. There is excessive mucus accumulation, which the body tries to clear via coughing. The lungs are weakened and therefore, the coughing is painful. Gastroesophageal reflux disease (GERD): This is a problem of the digestive system, but regurgitation of food into the airway induces cough. GERD is a chronic issue and so most people also end up with a chronic cough. It is worse with sitting up than with sitting down. Treatment includes H2 blockers to suppress acid production and dietary changes including small, frequent meals and avoiding spicy food items. Upper airway cough syndrome: There could be multiple problems in the upper airway, which leads to a constant postnasal drip. Here, there is constant dripping of the sputum into the air passage, which can lead to a chronic cough whenever there is impaired air flow. This can be caused by various forms of chronic sinusitis and rhinitis. People diagnosed with this condition usually resort to antihistamines and decongestants for relief. Other causes: There are a number of other causes as noted below. Smoking, tuberculosis, congestive heart failure, pertussis or whooping cough, foreign body in the airway, cancer in the airway passage, chronic aspiration of foods, etc. can all lead to chronic cough. The key is to identify the reason that is causing the chronic cough. Most people who are diagnosed are educated to handle it and carry the required medications including steroids, bronchodilators, and inhalers.